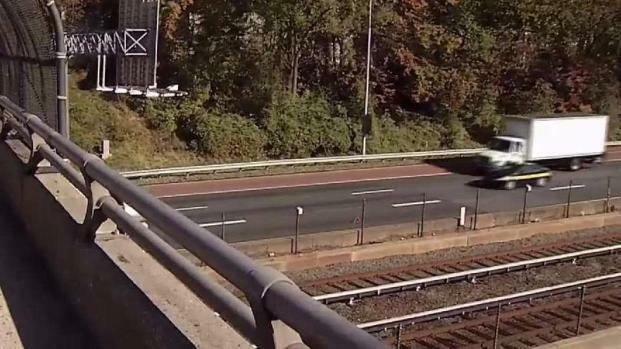 A 12-year-old boy plunged from an overpass in Virginia in an apparent suicide attempt on Saturday, killing a woman who was driving her SUV on the interstate below, police say. Marisa Harris, 22, of Olney, Maryland, was killed. She was a clinical counseling student who would have helped the child if she had the chance, her devastated mother told News4. She wanted to devote her career to helping children, family members said. The 12-year-old, who police did not name, has life-threatening injuries. Maryland State Police are investigating the incident as a suicide attempt. The boy's family is stunned, a man who said he was his uncle told News4's Jackie Bensen. The child often walked in the neighborhood, his uncle said. He lives near Thoreau Middle School, which is less than a mile from the I-66 overpass from which he plunged. Harris was driving a 2005 Ford Escape in Vienna on eastbound I-66 when the boy jumped from the overpass at Cedar Lane, Virginia State Police said. He landed on her SUV about 4:15 p.m. It happened so quickly that Harris was not able to avoid hitting the child, Harris' mother told News4. Harris' boyfriend was sitting in the front passenger seat. He was able to grab the wheel and steer the vehicle off the road. Harris was killed by the impact and was pronounced dead at the scene. The boy was rushed to a hospital with serious injuries. And Harris' boyfriend was unhurt. Harris was a Towson University graduate who was just finishing her first semester studying clinical counseling at Marymount University in Arlington, Virginia, her mother said. Lisa Jackson-Cherry, a professor at Marymount, said Harris showed great promise as a counselor. She was "caring, compassionate and genuine," Jackson-Cherry said. "Marisa came across as a very caring and compassionate student -- someone who wanted to help others who were either disadvantaged or needed more assistance to work through mental distress," she said. Several members of Harris' family are psychologists. 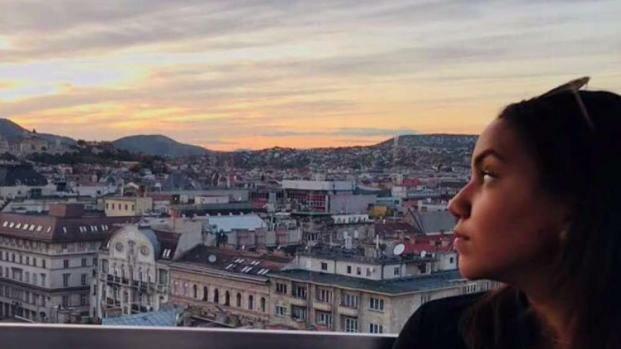 She had recently taken a trip to Budapest as part of a college course. Marymount University officials informed students of Harris' death via email. 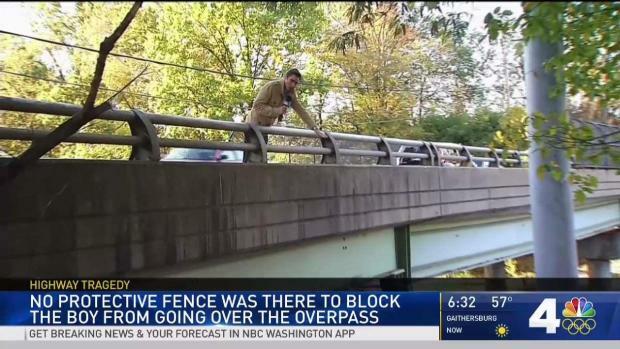 After Boy Plunged, Should Fences Go Up on Overpasses? 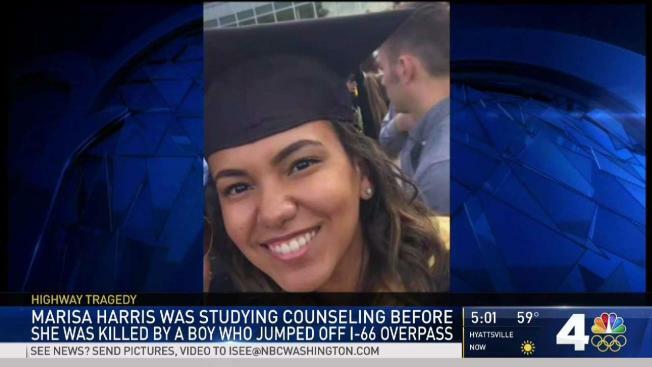 A 12-year-old boy plunged from an overpass onto I-66 on Saturday, killing a woman who was driving past. Should fences be put up on that overpass and others? News4's Adam Tuss takes a look. "Every student contributes immeasurably to the community we create together at Marymount University. The loss of any student, particularly in so heartbreaking a manner, grieves us all," a statement said. The school made counselors available to students and staff. Officials are planning an on-campus memorial. 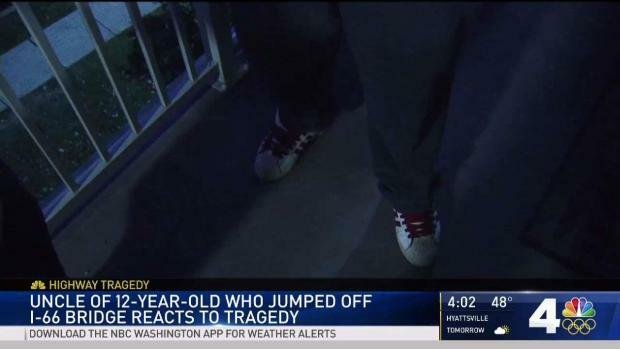 The 12-year-old's friends said they were not aware of any problems he had. AAA Mid-Atlantic spokesman Tom Calcagani advised drivers to stay aware of their surroundings. "It shows us again that we all need to be conscious of what's around us," he said. Marisa Harris was driving on I-66 when a boy jumped from an overpass and landed on her SUV, killing her. News4's Darcy Spencer spoke with Harris' mother. However, Harris likely did not have enough time to react, AAA said. State police originally said a man had fallen off of the overpass. Fairfax County Public Schools sent parents an email on Monday advising them to be aware of signs of mental illness in their children. Anyone having a crisis can call 911 or text NEEDHELP to 85511. Should a Fence Surround the Overpass? There is fencing on the Cedar Lane overpass, but it only extends above the Metro tracks that run between the lanes of traffic. The overpass was built in 1963, when fences were not required all the way across an overpass. News4's Justin Finch is on the Cedar Lane overpass, where a driver was killed after a 12-year-old boy jumped onto the highway. Experts say the driver likely didn't have time to react. "It met the standards when it was built," Virginia Department of Transportation project manager Susan Shaw said. If it were built today, it would have a fence all the way around. Federal regulations do not require fencing across similar bridges. Local governments make the call. The overpass is set to be replaced when the I-66 express lane project ramps up in the coming months.